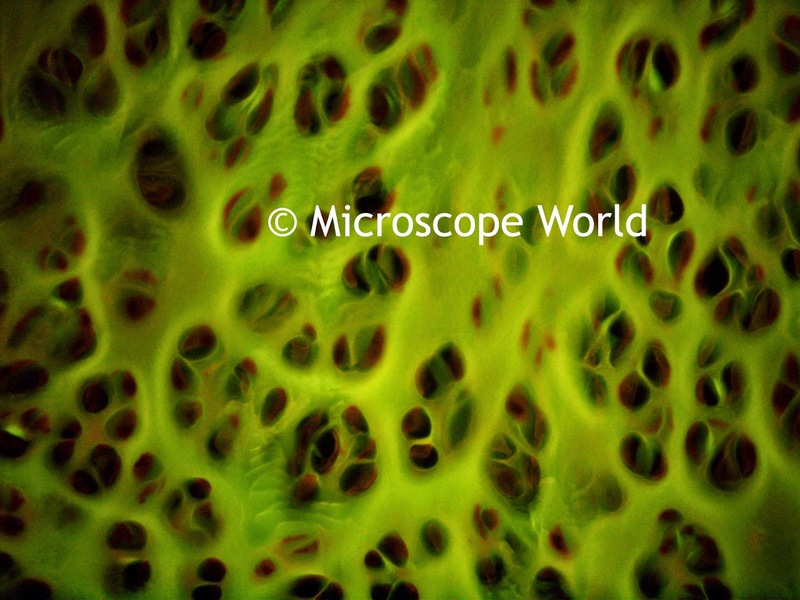 The images below were captured with a biological microscope using both brightfield and then with fluorescence. 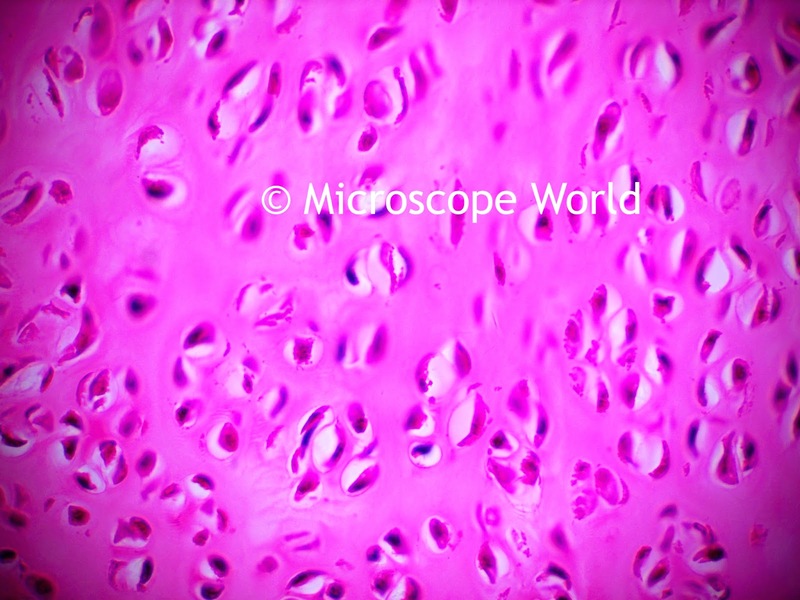 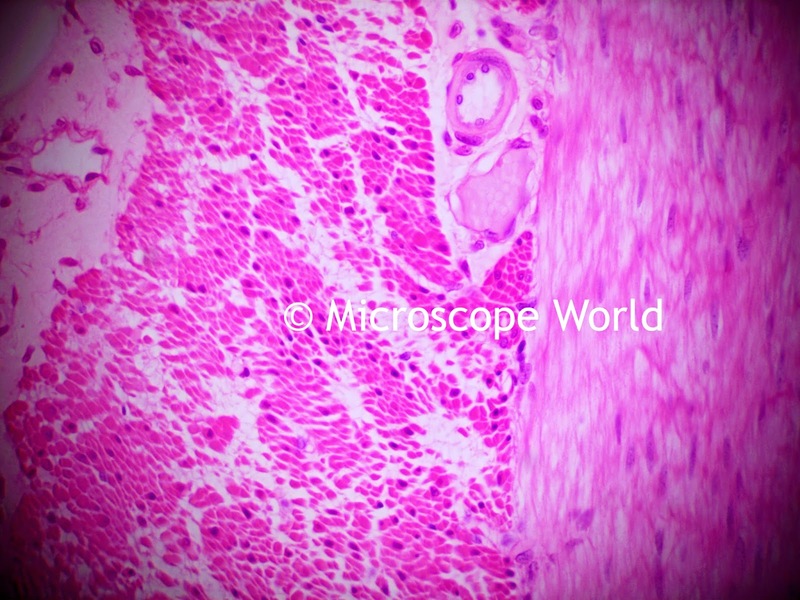 The prepared slides are a part of the Histology: Human Organ prepared slide kit. 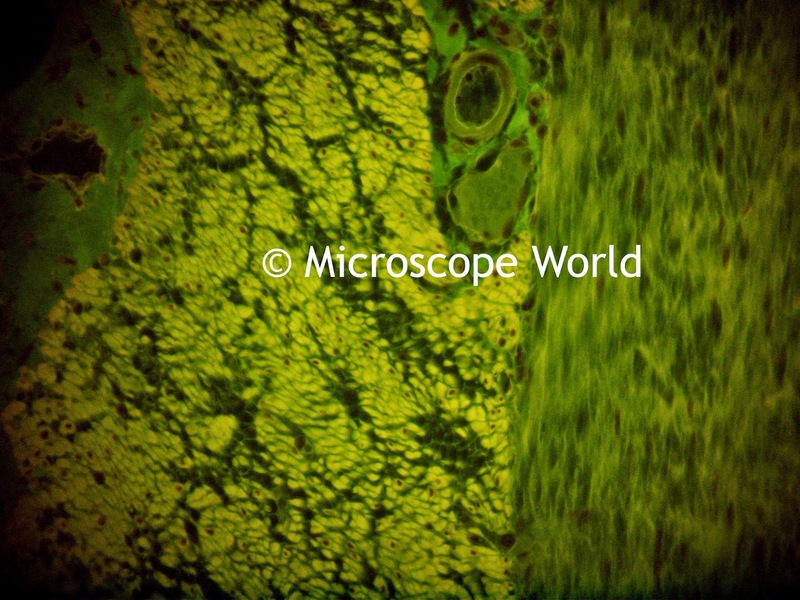 Columnar Ciliated Epith captured at 400x with a brightfield microscope.